They are absolutely irresistible! And so easy to make. I like easy these days!! I also added some butter along with the olive oil before I baked them and didn’t put the rosemary on them. Be sure to bake them long enough to get them crispy on top. Those little crispies are delicious. In medium saucepan over medium heat, boil the potatoes in lightly salted water until fork-tender, about 20 minutes, or until for tender. Place the potatoes on a baking sheet. Using a potato masher, gently press down to mash each one. Rotate the masher 90 degrees, then mash again. 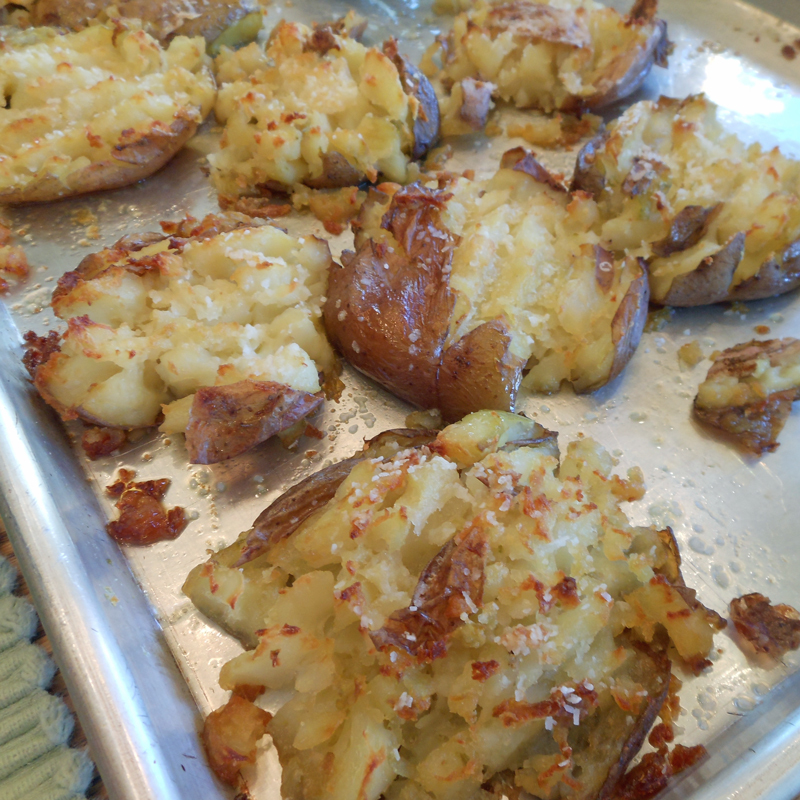 Drizzle tops of the potatoes with olive oil. Sprinkle generously with salt, pepper, and rosemary. Bake for 20 to 25 minutes, or until golden brown and crisp.